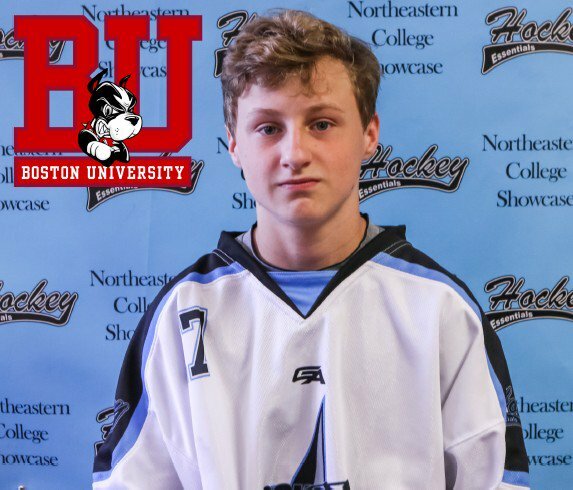 BU strengthened its pipeline of future defensemen when NTDP U18 blueliner Domenick Fensore committed to the Terriers for 2019. Fensore, a 5’7”, 155 pound left shot from Thornwood, NY, who previously had been committed to Quinnipiac, is the second recruit secured since Albie O’Connell took the reins as head coach. 4.25⭐️ D is a dynamic skater. Puck mover gets flying quickly and is shifty. Trusts his feet to defend and holds tight gaps in the NZ. Undersized but rugged in the DZ. Former Qunnipiac commit. See all Dom’s reports and stats on his profile. Pay no attention to his height. His footwork and skating are so good he can overcome that. He retrieves pucks, breaks the puck out of the zone and acts as a fourth forward. His gaps and layers are good. He has a good shot and is a prototypical modern era puck transporter. A year ago, he was named MVP of the Junior Chowder Cup, leading All-American Prospects to the '01 tournament title. Fensore becomes the fourth member of this season’s U18s headed to BU, joining fellow blueliners Case McCarthy and Alex Vlasic, and center Trevor Zegras. The U18s will visit Agannis Arena on October 19th for an exhibition game against the Terriers. 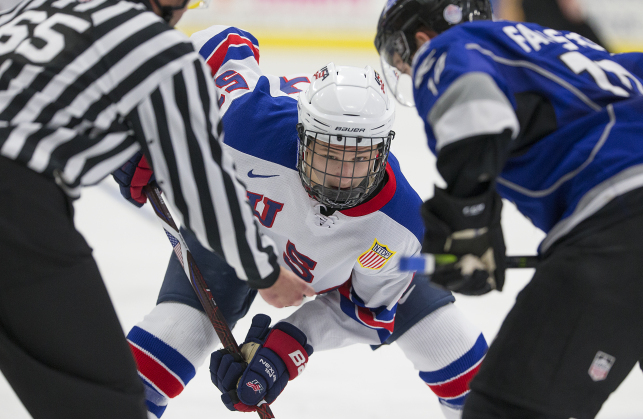 ►USA Hockey's Selection camp for the 2019 Junior National Team begins on July 29 followed by the World Junior Summer Showcase in Kamloops, B.C. There are five Terriers on the 42-man U.S. preliminary roster: David Farrance, Logan Cockerill, Joel Farabee, Brady Tkachuk and Jake Wise. 2019 recruit Robert Mastrosimone dominated the U20 tournament at the Battle of Boston, scoring 20 points (8g,12A) in five games for Hockey Essentials. The forward from East Islip, NY scored five points—including a hat trick--in the tournament final. Following the USA Hockey Select 17, Mastrosimone was named to the US Select U18 roster, along with 2020 recruit Cade Webber, for the Hlinka-Gretzky Cup Tournament in Edmonton on August 6th. Six Terriers have been selected as AHCA All-American Scholars: Victoria Bach, Rebecca Leslie, Breanna Scarpaci, Deziray De Sousa, Ashlyn Aiello and Rachel Allen. 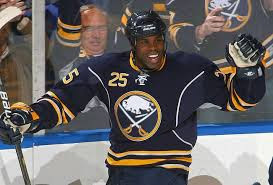 Former BU All-American and longtime NHLer Mike Grier has been added to the New Jersey Devils’ coaching staff as an assistant. He rejoins his former Terrier teammate, Jersey head coach John Hynes. Following a 1,060-game NHL career, Grier has been a Blackhawks scout the past four seasons and also an assistant coach at his prep alma mater, St. Sebastian’s. A fan favorite during his two stints with the Sabres, he served as a coach in the 2014 All-American Prospects game in Buffalo. 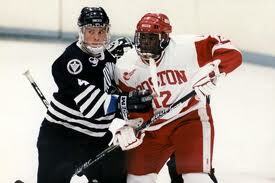 In three seasons at BU, he rang up 120 points, including 55 (29G, 26A) in BU’s 1994-95 national championship season, earning first-team All-American honors and the Walter Brown Award as New England’s top player. The Devils recently signed defensemen Brian Strait and Eric Gryba to two-way contracts. Both were members of BU's 2009 national championship team. The 1972 National Championship, Boston University would defeat Cornell 4-0, just a week after beating them 4-1 in the ECAC Conference Tournament. It was Jack Kelley’s 2nd NCAA title and last season as head coach of BU before heading to Hartford. ► The NCAA has made a number of rules changes for next season regarding shootouts, video replays and slashing penalties, along with authorizing teams to dress 19 skaters along with goalies for a game. Previously, the limit was 18. Cory Pronman’s “way-too-early” top 25 for the 2019 NHL Entry Draft has Terrier recruit Trevor Zegras at #3. Future Considerations has him at #25. Zegras didn’t have the giant numbers like his teammate Hughes and Cole Caufield, but I was every bit impressed by his talent level. After a lot of the call-ups happened midseason, Zegras’ game went to another level. He needs some maturing in his game, but he has high-end speed, skill and playmaking ability. He’s the kind of player who can push the pace with his skating and hands, but also QB a power play very well. He’s not a big guy, but he still could be an impact player at the pro level. New England Hockey Journal spotlighted the top 2002 and 2003 players at the recent Chowder Cup and Battle of Boston tournaments. Boston University recruit Jeremy Wilmer, playing on Hockey Essentials White, was by far the best player viewed over the weekend. 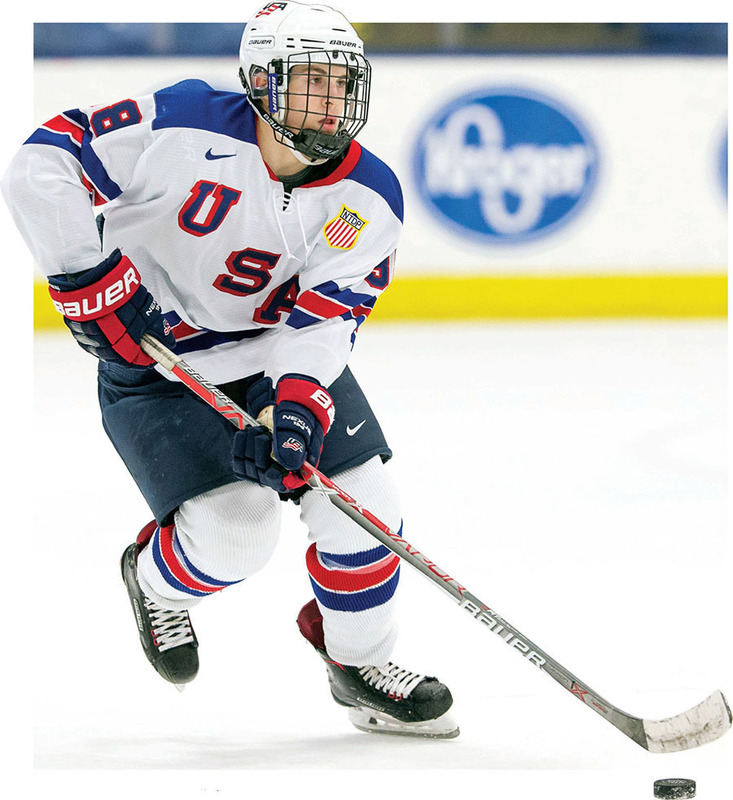 A standout at USA Hockey Select 15s, he was equally good in Walpole. He’s on the smaller side, but he has great hands, protects pucks and produces offensively on a consistent basis. Jeff Cox’s list of standouts also included BU recruit Tyler Boucher.